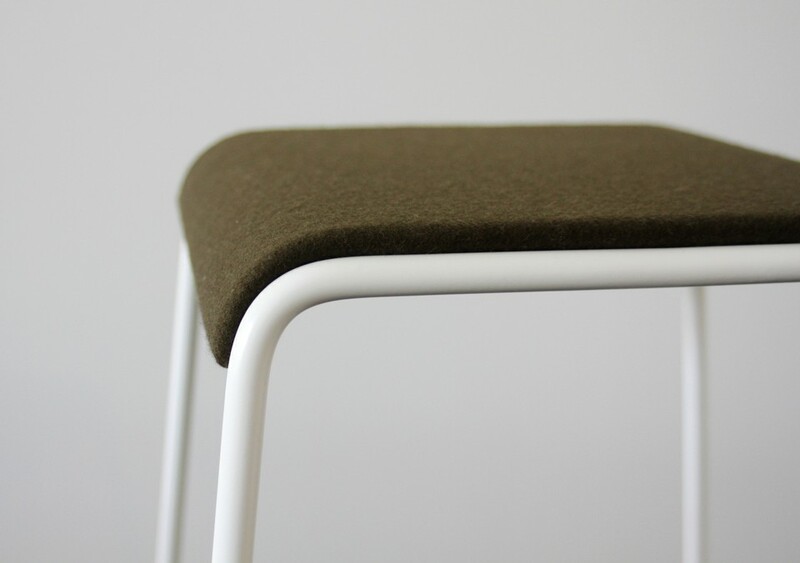 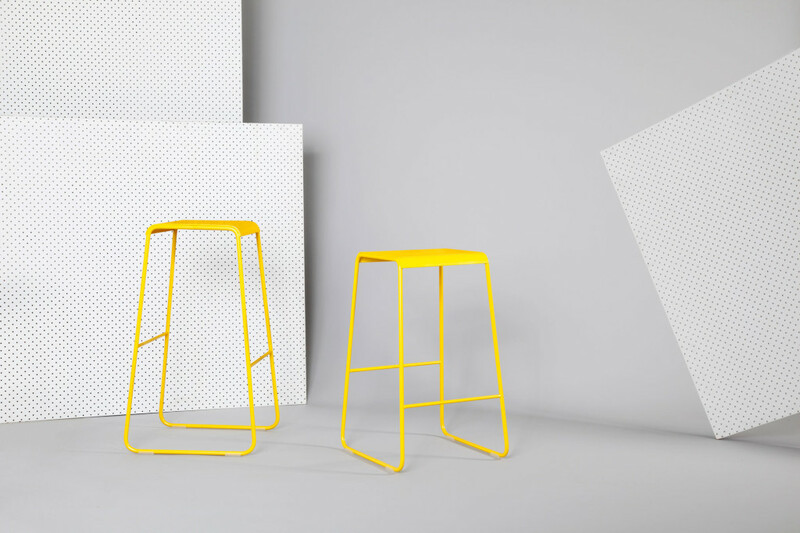 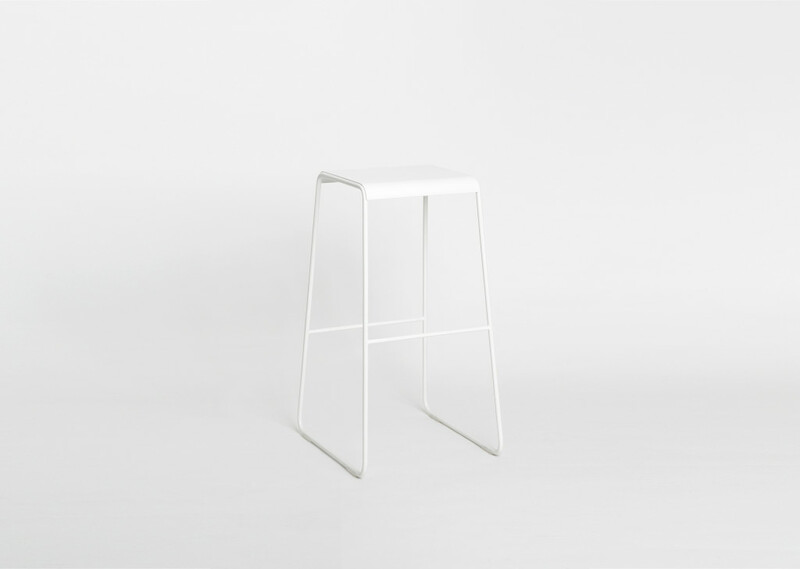 The S2 Stool comes in many powder coat colour ways. 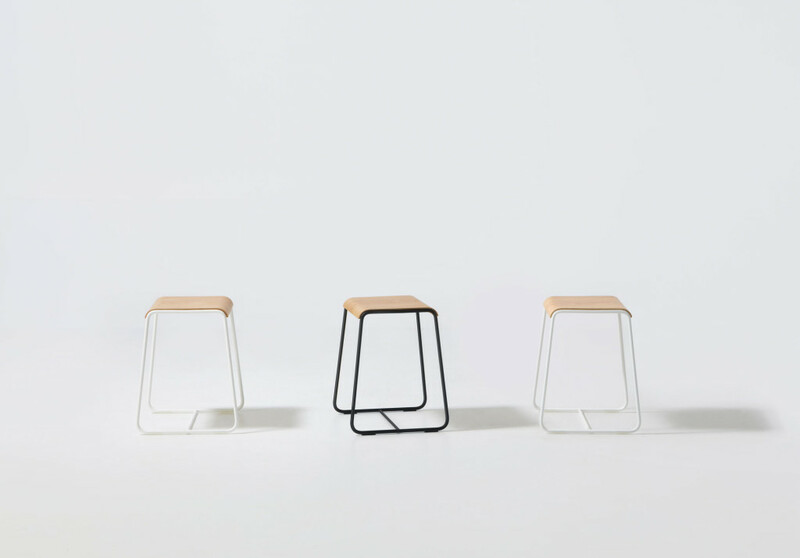 The bases are rolled steel tube, the seats have three finish options. 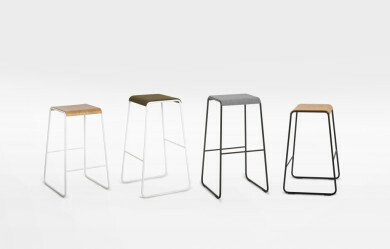 Laser cut and rolled sheet steel, oak plywood or fully upholstered.